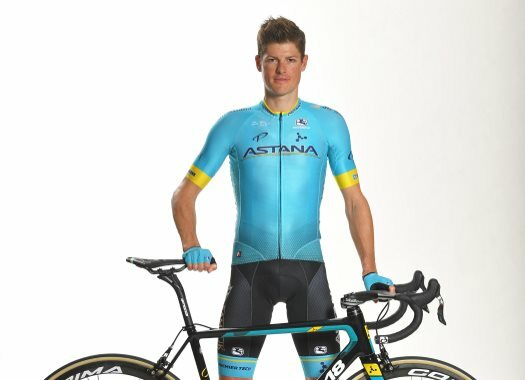 Jakob Fuglsang has taken the victory of the fifth stage in Tirreno-Adriatico, continuing like this a great start of the season for him and for Astana. The Danish rider picked up the pace at the last kilometres of the stage until he was left by himself. He managed to cross the finish line 40 seconds ahead of Simon Yates and 56 seconds of Primoz Roglic. This victory was extra special for Fuglsang because he wanted to dedicate it to Michele Scarponi, who loved this competition and was killed while training almost two years ago. "I dedicate this victory to my former teammate Michele Scarponi," said the rider after the finish line. "Yesterday I spoke with his widow at the start, and it inspired me even more, to go for a stage win in the race that Michele loved to ride. "The team worked very well today, everyone within the team is in great shape so far during this season. It’s great to experience all this success, everything comes together during the past few months. Two years ago, around this time, we didn’t win once. Now have nineteen victories. It’s amazing, but we will see if we can keep performing like this during the rest of the season." Everything worked well for Fuglsang and Astana at the stage and the rider climbed to the third position of the General Classification. "Today, when the team did a great effort by closing the gap with the break, I tried to save as much energy as possible," he explained. "On the final climb of the local lap, with one more lap to go, I knew it was my time to attack. I knew everyone had to work very hard to keep the wheel of Alexey Lutsenko and Dario Cataldo, and I benefit from that right at the top of the climb. I’m really happy with this win, and for sure I will try to keep the podium."